Want to be a responsible traveler? By telling us your country of residence we are able to provide you with the most relevant travel insurance information. Please note that not all content is translated or available to residents of all countries. Contact us for full details. 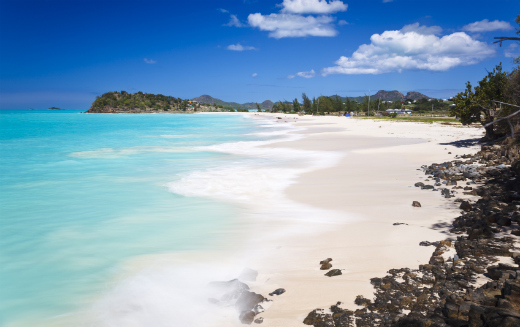 While the island nation of Antigua and Barbuda is generally safe, petty crime can still challenge any traveler, even the most seasoned. Here's what you need to know. One of the "safest" Caribbean nations, but there's still good reason to lock up your valuables. You may have read about violent robbery and murder on the main island Antigua, and yes there have been a few incidents, but attacks on tourists are extremely rare. The violence is usually among locals. There are some parts of St John's where you're definitley on the "wrong side of the tracks" but it's pretty obvious as soon as you enter, so do a quick turnaround and move on. If you are unlucky enough to be confronted by someone intent on mugging you, don't resist. The level of petty crime is described by several foreign agencies as "moderate" for tourists. Like anywhere else in this region lock up your vauables back in your room (or use the hotel safe), keep jewellery and expensive cameras, music players and phones out of sight (or back at the hotel), and take only enough cash for the day. A travel credit card with a low balance and low daily limit is a good idea. Antigua and Barbuda has some beautiful isolated beaches if you want to escape the touristy ones which the masses from the cruise ships like to hit up however best to visit these in a group rather than on your own. Take care as you normally would when walking around at night. If you're on a yacht make sure you maintain security too. You can buy at home or while traveling, and claim online from anywhere in the world. With 150+ adventure activities covered and 24/7 emergency assistance. Sign up for the latest news, deals & opportunities. I would like to receive the latest news, deals & opportunities by email.